Vented gas logs are a great way to add ambiance to a room during winter months. 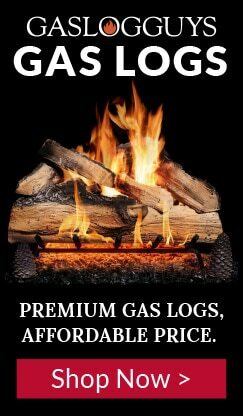 Vented gas log sets make use of your fully-functioning wood fireplace and act as a wood replacement. They tend to be very realistic since the logs are often very detailed and the flames touch the gas logs like in a real log fire. Vented gas logs are not very efficient at heating, but ventless gas logs are. Learn more about vented vs ventless gas logs on our site. They come in a wide variety of log styles that mimic the look of different wood types.